This past Tuesday was my 1 year anniversary since I embarked on my Venus journey. So I decided to take some inpromptu pics in my "before" bikini! I honestly had not worn it since those "before" pics a year ago, because... well honestly, those pics left a BAD taste in my mouth for that swimsuit! Well, it is not the swimsuit's fault! It actually looks pretty nice now. This is me on a normal evening by the way, no special lights, no water manipulation. Just me. I am not cut down for pics or anything. I just wanted to see what I really look like on a normal day after doing these workouts for the past year. My shape has really changed. In a good way. I really have no lost all that much scale weight either- but I have put on some muscle mass and shed fat. Metrics matter, the scale really has no say once you get into striking distance of VI metrics. You need to focus on the measurements and put away the scale, or at least stop focusing on it. My mindset about "dieting" and "fitness" has completely shifted since last year. I workout to build muscle. I run or go to kickboxing/insanity/spin for cardio conditioning. I eat to shed fat and/or fuel my body. I try to keep the idea of good foods and bad foods out of my mind. I can have whatever I want, just not all the time. I count calories and I try to eat lots of lean protein and veggies. This is no longer a diet. It is just the way I live now. All of the reasons I mention are exactly why I have been able to maintain and improve my physique over the past year. I can honestly say that I am off the diet roller coaster for good! No more yo-yo dieting! I workout 6 days a week. I do 2x1 hour cardio sessions each week. It varies depending on my mood. Some days I run (or do 90 sec walk-run intervals), some days I split up time between the stairmaster and the elliptical, some days I do to a class at my gym- spin, kickboxing, Insanity, or step. I just do whatever strikes my fancy that day mostly. At 5'9", I count calories to match my body's needs. I look at my calories over the course of a week, and just have a general aim each day so that I meet my weekly goal. I am cutting right now at a very slight deficit and aim for 7500-8500 calories per week. I try to get 40-50% of my calories from lean proteins- that is just a personal preference of mine. I limit refined carbs such as bread and pasta- mostly again, just a personal prefence. I would rather get my calories elsewhere- like fruit and Greek yogurt (love!). 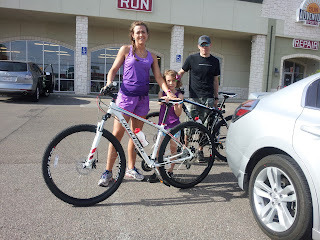 Oh, and on a side note- the husband and I got mountain bikes this past weekend! I am super excited to go trail riding. Just another way to be active with the family, yay! Today I am interviewing Stephanie. 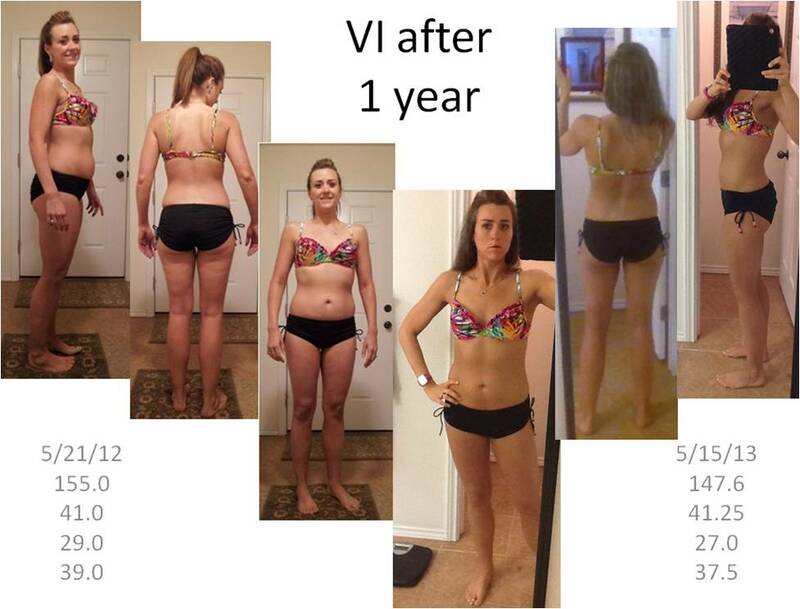 She has been one of the founding members of my VI class since it started in September of 2012. When I found out her age, I was stunned. This woman has defied time. 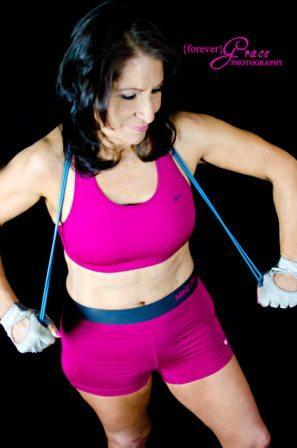 Stephanie is in her early 60’s and was already in amazing shape by anyone’s standards for any age. She has lived a fit lifestyle for most of her life and it shows, I think that is her secret to aging so well. 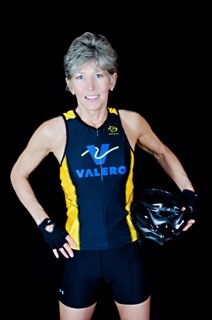 She has done triathalons, half marathons, and 100 mile bike rides. I first met her in a pilates class which she continues to do to this day. I honestly wondered the first time she came to VI class if she could even improve her physique. To my amazement, VI can take above average physiques to exceptional ones. Her metrics improved over the 12 weeks- Stephanie added an inch to her shoulders, dropped 2 inches from her waist, and lost 1.75 inches on her hips. · (Liss) So what is your history with regard to diet, weight, and fitness? [Stephanie] I am a true believer in fitness. It is my life insurance policy. Diet and weight are within my control whereas many other areas are not such as genetic factors. · (Liss) How did you find VI class and what made you come? What made you keep coming to class? [Stephanie] I found the VI Class conveniently available at my local YMCA. Liss's enthusiasm, her results and other participant's results kept me interested. 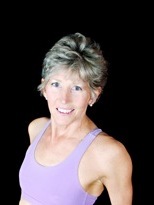 · (Liss) Did you incorporate the Anything Goes Diet and/or Eat Stop Eat style fasting? [Stephanie] Neither. Through conversations with Liss and others, I realized I needed to make improvements to my style of eating. This mainly consisted of understanding the role of protein in muscle development and recovery. · (Liss) What did you do during your transformation to make such a change? [Stephanie] I had to better understand my caloric intake, percentages of protein/fat/carbohydrates and portion sizes. This included much reading of labels, converting grams and ounces, and a scale. I enjoyed Liss's class so much that the VI classes were something I looked forward to. Liss gives a very good class - my style - quick paced and with a lot of instruction and self-deprecating humor. · (Liss) Did you have any “ah-ha” moments with regards to your fitness or diet lifestyle and sustainability? [Stephanie] If I had a "ah-ha" moment, it was that one is never too old to see results from applied effort. VI and Liss gave my life a wonderful spark. 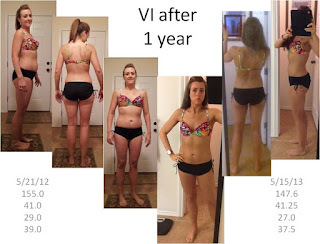 · (Liss) How has your body changed since starting VI? [Stephanie] I have baby "six pack abs". Never had 'em before in my life. · (Liss) What did you think of your pictures when you saw them? [Stephanie] I don't like my knees. · (Liss) What are your future goals? [Stephanie] Improve my thighs and my knees. Continue to improve my knowledge of nutrition and weight resistance training VI style. · (Liss) What is your advice for other people who want to make a transformation like you have? [Stephanie] Believe in yourself. You can do it too! I even apply that philosophy to my fitness and nutrition goals. Since embarking on VI last year, I have kept meticulous records which have literally saved me from backsliding or giving up. They serve as a record void of emotion where I can study trends and data mine. Now let’s hear what she has to say! (Liss) So what is your history with regard to diet, weight, and fitness? [Miru] I was never a fan of the GYM. My first time ever at a GYM was to attend a Pilates Class twice a week at YMCA in early 2012 and that was it. I started training to run a marathon by running at lunch time with the help of an app on my iphone; I didn’t last but two weeks. I went up to 178 lbs and today I am at 143 lbs after VI phase II at 5’6” tall. (Liss) How did you find VI class and what made you come? What made you keep coming to class? [Miru] I saw a flyer posted at the YMCA with a header VENUS INDEX and a class starting in September 2012, with some pictures of Liss both before and after her VI transformation. What caught my attention was the definition of the body on the after photos, and mostly waist and hips- which is where I have a problem. I then went into the website only to find people like me trying different diets without success. What keeps me going to class is mainly the instructor Liss- she keeps us motivated all the time, another important reason is that she is well educated in the matter and always shares a bit of information with us. Talking to others within our group, we all agree that we learn a lot from Liss, besides just working out. Another important fact is the way the program is designed. It takes you slowly to want to lift more and more, and you don’t even notice it. The workouts are written in such a way that keeps your attention on what is next and what are we doing the following class. VENUS INDEX made me become addicted to weight lifting- I never miss a class and always try to lift more and more weight. (Liss) Did you incorporate the Anything Goes Diet and/or Eat Stop Eat style fasting? 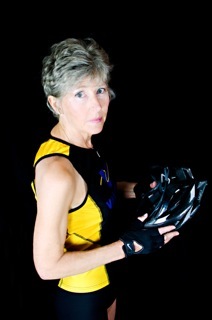 [Miru] Being 59 years old and a breast cancer survivor, my diet changed radically after treatment some 7-8 years ago. I was all into no sugar in my diet but eating sugary fruits, juicing greens, having salads, protein, nuts and grain for dinner. I was eating healthy, but with no calorie intake control at all and zero workouts. At the beginning when I started VI Phase I (in September 2012)- I did not even diet. I was waiting (as always) for this program to do its magic on me. I didn’t see the scale moving at all (or was a couple of pounds up and down) but I was seeing more definition on my arms and legs. One day during a class, Liss was sharing some information on how fasting helps create a deficit and how counting calories is important. She even encouraged us to start measuring and weighing our food until we were capable enough to eye ball it. Of course, I was not doing any of that, not even counting calories, but I never missed a class. During another class, she shared a little more about fasting and that’s when I got interested and started fasting too. So, to answer your question, I started with the Anything Goes Diet and recently incorporated Eat Stop Eat style fasting as well. (Liss) What did you do during your transformation to make such a change? (Liss) Did you have any “ah-ha” moments with regards to your fitness or diet lifestyle and sustainability? [Miru] I sure did, when I understood that working out is not going to do it all. The calories you burn at the GYM can easily be gain back again, in a simple piece of cake, ice-cream, or any other junk food. I learned I needed to watch what I was eating and start counting the calories. (Liss) How has your body changed since starting VI? [Miru] My body is more toned and leaned out. (Liss) What did you think of your pictures when you saw them? [Miru] It’s really scary to have the before and after pictures. I was asked to take before and after pictures in September when we started phase I and I did not do it. I loved my pictures after phase II. I am so grateful I found Liss, which has become my inspiration, and VENUS INDEX I definitely believe that both are now part of my life and will keep me healthy and in good shape. (Liss) What are your future goals? [Miru] VI is the only program that has worked for me. Based on my pictures, and as much as I liked them, I can see I am only halfway there. I will keep coming to the GYM to all the phases that VI designs for us. Remember? I became an addict to VI! (Liss) What is your advice for other people who want to make a transformation like you have? Say what?! 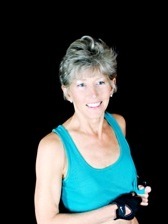 Today, I am going to share my little trick with you- how I stretch one glass of wine into 3 or 4!!! 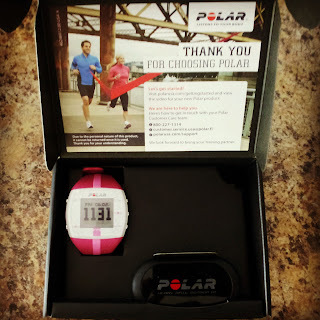 But FIRST- I have to show you what my dearest husband spoiled me with this week- a Polar FT4 Heart Rate Monitor! I have been wanting one for the longest time, and he just ordered me one out of the blue. I am one lucky lady right?! Love my man! I am a teacher too, so my principal at school came up with the idea of my students trying to see which class could keep my average heart rate the lowest. It was a hoot, the students actually got into it. Opposed to normal biological rhythms, my heart rate actually got lower and lower throughout the day and my last period won with an avg heart rate of 62! 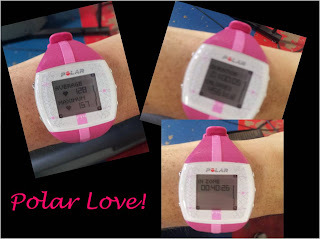 So if you are a number and data lover like me, you need a heart rate monitor as your next gadget! 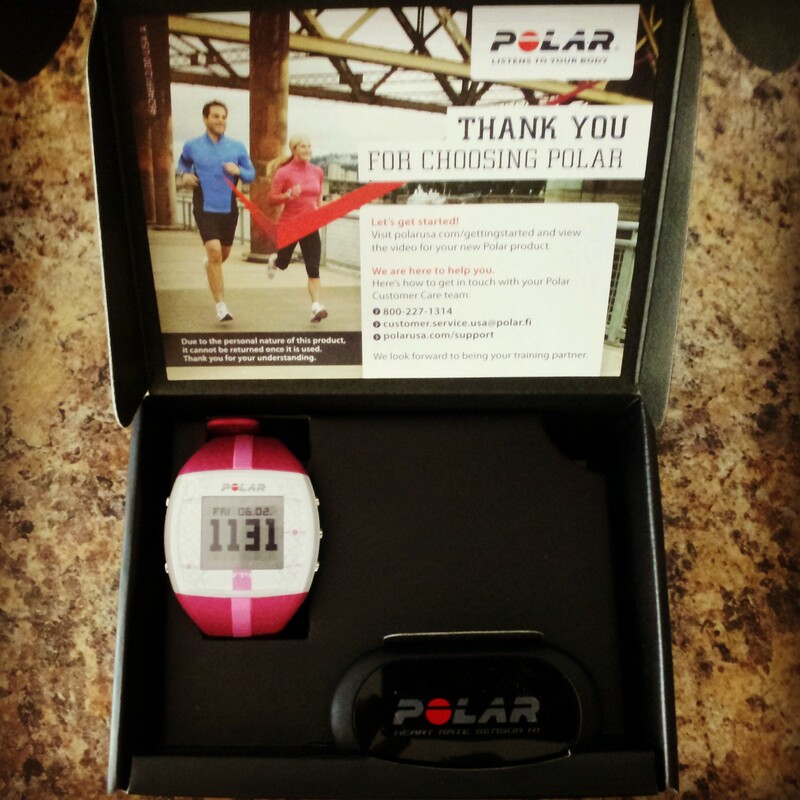 I cannot wait to collect more data and graph it up! 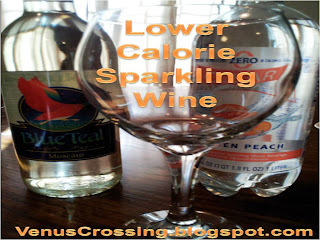 Onto the real post now- I love to drink wine but the calories add up quickly. 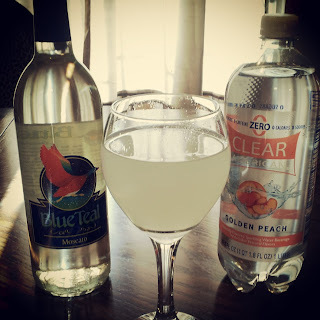 I have a couple of booze tips that I use when I want to indulge. I will share the others later, but this one is my go-to. It cuts the calories in your glass of wine by 75%!!!! And makes you drink lots of water while you are drinking alcohol! So what is the secret??? Pour 1 ounce of wine in the bottom of your glass, top with sparkling water to the top. Garnish with fruit for a low-cal sangria! 1) Gross dry wine that I cannot hardly stomach tastes really good this way and I will actually drink it! 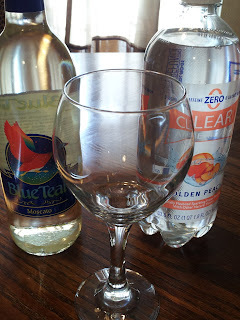 2) I keep hydrated since I am drinking so much water along with my wine! This equals less hangover in the morning if you are going hard! 4) Now the calories of ONE glass of wine are split into FOUR glasses which actually might last longer than 10 minutes while you socialize. Score!